Kansas drivers who refuse a blood test, a breath test or an analysis of some other bodily substance to determine whether they are under the influence cannot be criminally punished for doing so when there is no search warrant requiring their cooperation, the Kansas Supreme Court has ruled. 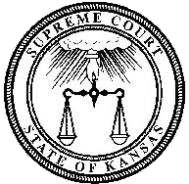 In four related decisions Friday, the state’s top court said a state criminal statute that makes refusal of the test a misdemeanor or a felony, depending on the driver’s history, violates his or her rights under the Fourth and Fourteenth Amendments, according to theKansas City Star. The lead case is State v. David Lee Ryce (PDF), in which a 6-1 majority of the court held that a felony refusal case against Ryce, who had four prior DUI convictions, must be dismissed. The statute is facially unconstitutional, the court said, because it punishes the defendant for exercising his or her constitutional right to refuse the test. While a few extra steps may be involved, following constitutional requirements still leaves the state with significant weapons to deal with those who refuse DUI tests, the opinion notes. These include civil penalties, such as the loss of a driver’s license, for those who decline testing. “While Ryce’s case shows that not all drivers without licenses will refrain from driving, the state may theoretically seek a warrant for an alcohol test and enact criminal penalties, including jail time, for refusing to submit to a valid Fourth Amendment search,” the court writes. How does this apply here in Cal? The law here imposes criminal penalties for refusal so this Kansas decision is precedent for attacking our law. However, since the US Supreme Court's McNeeley case, we're seeing more and more search warrants obtained when driver's initially refuse chemical testing. Criminal penalties, over and above DUI conviction penalties, would therefore be in play where a driver refuses station testing after a valid search warrant had been obtained.